The Professional makeup & hairstyling course will commence on 3rd June 2019. Ivy Chen will be personally taking over this lesson and train students to become a professional makeup artist & hairstylist. 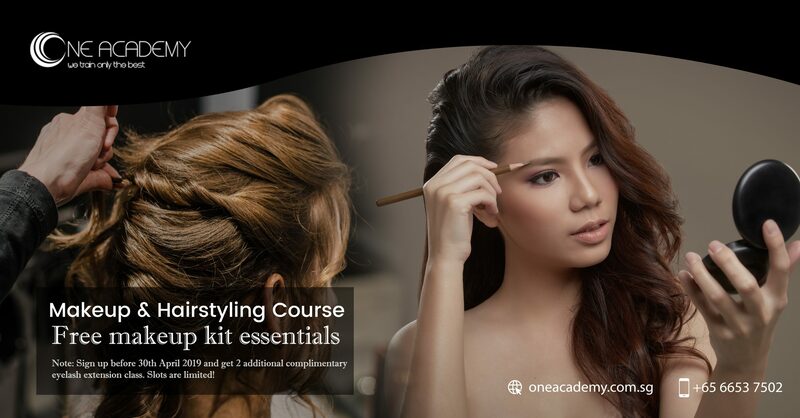 Her lessons will go through deep into the fundamentals and modern makeup & hairstyling techniques. Our lessons are very personal and not a hit-and-go course. We want each and every one of our students to excel, equipped with strong skills upon graduation. ﻿Note: Sign up before 30th April 2019 and get 2 additional complimentary eyelash extension class. Slots are limited!